It’s a new year again, which means there’s open potential for a multitude of wondrous things on the horizon! Before we go out to greet those things however, there are a few words left to be said about some of the experiences 2017 brought, as well as a cool list collecting said experiences into an easy-to-traverse list. We haven’t gotten to the round-up yet, but it was a spark disappointing to look over the number of series I was able to finish this past year. This is only when in comparison to past years, of course. 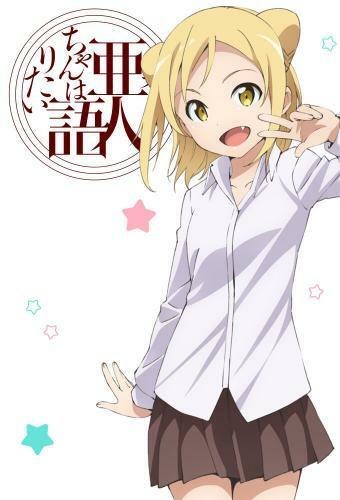 There was a strong showing of slice of life series, with the anime adaptation of Fushimi Tsukasa’s next big series post Oreimo, and one of the easiest to return to series over the past year, Anne Happy, thanks to its lovingly unfortunate cast of characters. I finally took care of some of the big looming series of the backlog, with the films Ghost in the Shell and Girls und Panzer der Film being huge standouts. It was also a year worth remembering for catching up on the Love Live! series, which you can be sure to hear more about below. It wasn’t a year for quantity of series, but in a few key cases, quality of series was markedly high for 2017. 2017 was a torrential success in games, notably up front. We saw a triumphant return to form with Resident Evil VII, a peerless showing by Nintendo with The Legend of Zelda: Breath of the Wild, and even Sonic the Hedgehog returned to the speedy, stylish place he belongs for but a flicker before that candle was snuffed out again. This is to name but a few of the great games 2017 brought, and each of the three listed above were strictly single player offerings; something which seems unheard of these days. Of course there were multiplayer games, too, with a solid but still somewhat limited Destiny 2, and a tremendous new entry in the Tekken franchise. We also saw games as a service poke and prod at us like mice in a lab, testing our patience. This was a year for the books, for sure. If you’ve been here before, you know the drill, but if not, here is a list of the anime and games I talked about over the past year, listed in alphabetical order. Click the name of an anime or game to open a tab for the article(s) or video(s) in which it was mentioned. “…Of the Year” awards are something I don’t really like, especially when you’re someone in my situation who reviews or talks about series or games that weren’t necessarily released over the year in question. I do like thinking up arbitrary categories to continue praise for the things I loved over the past number of months though, so here you go! 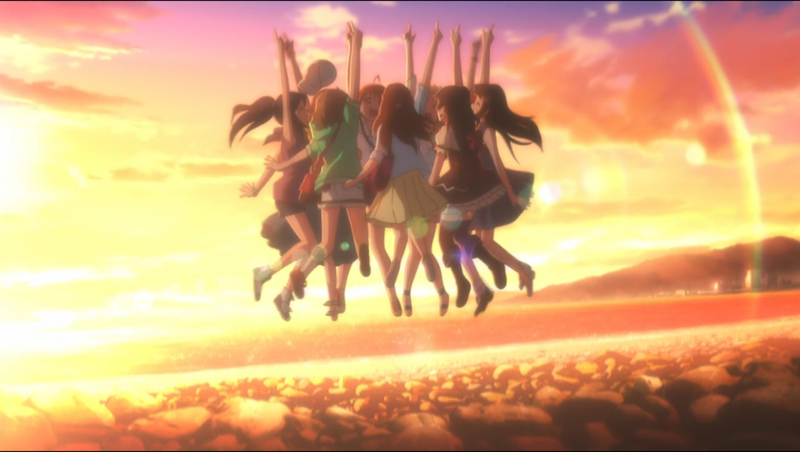 It may be a bit unfair to regard both seasons of Love Live!, its film, and Sunshine!! as one entry, but it’s difficult not to, as both exhibit many of the same overall themes, and are essentially a continuation of the concept of school idols. Regardless of the contrivance necessary to put it here, Love Live! is wonderful and deserves every bit of praise I might toss at it. Each season feels distinct, and comes with its own great music and sincere (if at times admittedly a bit hokey) moments. The character designs are all so, so good, and if you dwell in the moor that is 萌え, there is an overflowing fountain here to bathe yourself in. 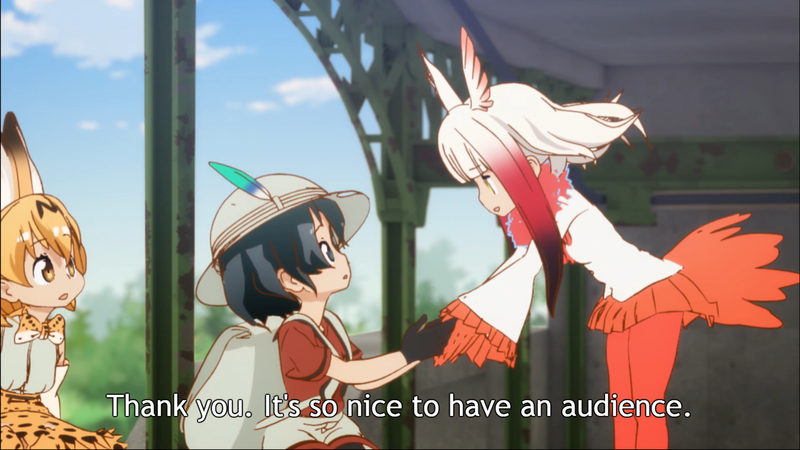 But the reason it’s worth mentioning here, is because under all of the cute anime ladies and the silly character moments and even things like the production quality and the soundtrack, there is a great deal of introspection in this series which paid off quite well. Sunshine especially hits a chord at a point, when it brings up the question of when you pour your heart into something and then have nothing to show for it, how do you deal with that? If I were to voice an issue I have with the series as a whole, it would be that its depiction of high schoolers is pretty head-in-the-clouds. Having both Muse and Aqours’ respective classmates do nothing but cheer them on is much unlike any teen behavior I recall encountering before I grew my cobwebs. If this is in service of presenting the idea of being a supportive person not only to your friends but of anyone with their heart invested in a goal, then I’m perfectly okay with making that concession. It is also impossible not to bring up the manner with which Sunshine handles Muse’s legacy. Removed from the series, and considered purely from the point of view of someone interested in storytelling and world building, the scenes in which Chika and the other girls of Aqours talk about Muse and retread their steps are among the standout scenes of the series. Hearing the girls talk off-handedly about the group (sometimes making mistakes when it comes to the details), and watching them (along with you as the viewer) become excited when they realize their story has led them to the same places Muse had been – it all comes together to make the characters seem grounded in a place where the world doesn’t revolve around them, but has been a stage from which many stories have already been told; the scene which introduces Saint Snow is absolutely perfect in this way. This is a series which I think many people, even those who aren’t typically into moe affairs might appreciate, and it is a series which has earned every inch of its fandom. While I feel like I’ve already rambled on, it would be easy to continue going on about everything Love Live! gets right, and this is even without considering the second season of Sunshine! !, which I unfortunately couldn’t steal away time for (but will soon for sure). It was a good year for art design in anime on my end, with the simple but effective Hikari from Demi-chan wa Kataritai, the charming puff-balls of Sakuranomiya Maika, and the Love Live! 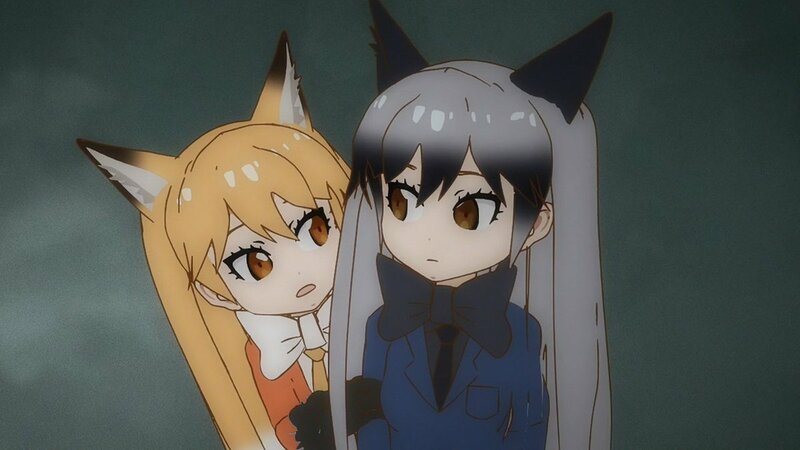 series’ truckload of wonderful character designs, but when all else is considered, I believe the most aware of how great the character designs were, it really comes down to Kemono Friends. 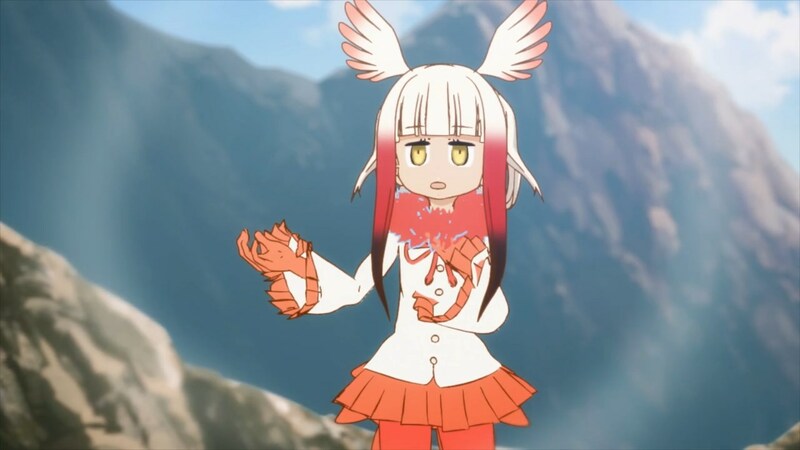 A western outdoor fashion-inspired American Beaver, a stylish, suited duo of silver and gold foxes, and my enduring favorite, the Japanese Crested Ibis, Kemono Friends’ designs were always interesting to look at, with simple but smart details which allured but didn’t distract. This is saying a lot for a CG series, where the character models are very low poly and otherwise a bit rough on the eyes to look at. 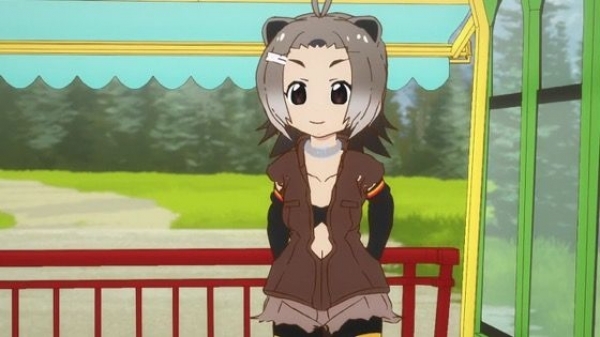 Kemono Friends is a tremendously charming series in its own right, very well suited for younger audiences or someone with an eye for the colorful and cheerful, but because of its superb character designs, it left a lasting impact. It’s a real shame that a second season is in muddled territory at the moment, but there’s always a chance, right? It may come off as pretentious or something, but as more and more time seems to go by, the less enjoyment I get out of Western movies and tv. We’ve lost our knack for crafting tangible worlds, and populating them with characters worth hanging out with. If it’s a series aimed at adults (young or old it would seem), the baseline seems to be just fill it with excessive sexual content or violence, because that’s what adults like, I guess? 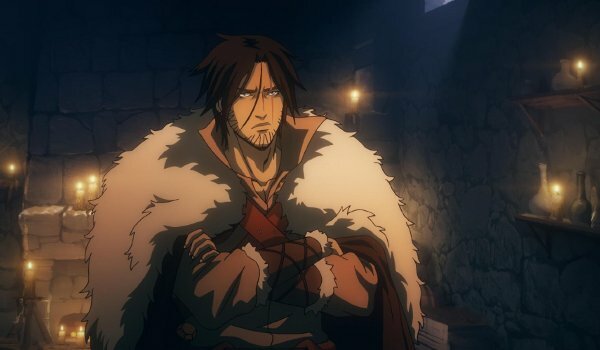 And Castlevania, Netflix’s original animated series continues this. Castlevania has always been a dark and often violent series, sporting evocative artwork in many instances, it’s true, but to me at least, these things weren’t situated as the center of the series’ identity, and it was very disappointing to hear all of the praise for this series, especially from people who enjoyed the games, and then watch it myself and have my reaction be little more than a shaking of my head. When I think of Castlevania, I think exploration. Even the earlier, linear games had this feeling of exploration which is completely lost in this animated series. To me, Castlevania is a series about a martially capable protagonist going up against the night and its various evils and coming out on top. It’s a series about strange creatures and bizarre magic, and a stylish flair to give it its own unique identity. It’s about instantly recognizable goth-rock musical themes (and did you hear that soundtrack?). I got none of these things from watching this animated series. This take on one of the video game series I love was not what I was looking for, and I have no interest whatsoever in watching more of it once it continues, presumably this year. Breath of the Wild is unfair, which is why it can only be mentioned outside of the other categories. In the best games, immersion is number one with a bullet. Nicely tuned or innovative mechanics will get you distance, but the ability to latch onto a player and keep them hooked onto a game, and have that game inhabit their thoughts well after the session is over is achieved most effectively through immersion. Immersion is what Breath of the Wild excels at, through a combination of excellent sound design, likable characters, a large, open-ended world, and smart hindrances baked into the game’s mechanics. More notably early on, Link is fragile and weak, and as the player you are required to begin thinking about solutions to problems which make use of this limited strength. Weapons will break, ammo is limited, and your ability to endure extreme weather or a beating in combat makes exploration and ultimately progress an arduous road, but thanks to how open-ended this game is, its challenges don’t feel unfair or oppressive. As you travel about Hyrule, the game’s myriad systems open the door to creative solutions to problems, or to simply mucking about in fun ways. A lightning storm might bring you a swift end when the metal weapons on your back catch the attention of a lightning bolt, but hours later, this knowledge might have you tossing a sword into a group of moblins, bringing them that disastrous fate instead. This is a game with a tangible world, but a game which limits you as a character in it just enough to make you believe you’re existing within it. It is by almost all regards, a master class, and I was more than happy to toss away my multi-dozen hour save when it came the time to upgrade from Wii U to Switch, and start again anew. This game is also responsible for me purchasing a capture card, which in turn led to me posting video series here on the site. So… there’s that, too. Take that as you will. Sonic Mania is not the game I put the most hours into over the past year. It doesn’t have the best soundtrack (it’s close though! ), or a great story, or even the most engaging gameplay. Sonic games have been the punching bag of gamers everywhere for years now, and for good reason. Even as someone who was a Genesis kid and actively preferred Sonic games over Mario in those days, the modern showing wrought on by Sonic Team has been agonizing to watch. A question was posed by someone online, as to whether Sonic was ever actually good, or if it was just what we had. We were burned by Sonic 4’s attempts at nostalgia, and all hope was more or less lost. Eventually, I started to think that yeah, that is probably the case. Then, during the summer when the time came, I started up Sonic Mania, and in those brief hours on its launch night, all of those years of pessimism and doubt washed away. The sights and sounds and most importantly the control, were all 100% spot-on. Christian Whitehead and his development team are not game developers – they’re game fans, and Sonic Mania is not a product, or even an argument for Sonic after years of misguided blunders – Sonia Mania is a celebration. The plucking of music and level segments from Sonic’s prime years, and the reworking and remixing of them, and then supplementing those meticulously crafted levels with brand new ones? It gave off such a bright, loving feeling that rarely traces video games – that the individuals behind the game miss how things were just as much as you do. Remember this stage? So do we. This music? We loved that tune, too. In the brief hours I spent playing Sonic Mania this year, I was a child again, and that beats everything. When I think back at the games which informed my interests and expectations for what video games, or more specifically what video game stories can be, it brings me back to Metal Gear Solid on the PS1. That was the first game where I recall being invested in a video game’s narrative, and where a good part of that is simply the (at the time) rare amount of care put behind that games story, much of it had to do with the way that particular game, and to a lesser degree the later games in that series, handled the fact that it was a video game. A rare breed of entertainment is that which fully utilizes the strengths and potential of its medium, and it pleases me to say that Nier: Automata makes wonderful use of its medium in telling its story. It isn’t about breaking the fourth wall, it’s about acknowledging the fact that your game is a game, and using the tools games have which other mediums do not, to tell that story in a way that would otherwise be impossible. Aside from its story, Automata also happens to be a stylish, satisfying and quite open-ended action game by terms of customization through the game’s Plug-in Chip system and through the limited but wildly different available weapon types. It also treads a line between character action game, arcade shooter, and modern scrolling shmup game, the latter of which made me ecstatic to see, as Automata is likely, sadly, the closest thing we’ll get to a big budget shoot ’em up game at this point. It isn’t much of a looker for the most part when you’re speaking of its environment, but the game’s style is enunciated by its character design and animation. 2B is the rare video game character who can look awesome standing still, and when the chaos of battle ensues, the way everything moves makes the visuals sing in ways its otherwise drab looks should make impossible. Added to this is the game’s soundtrack, which is by leaps and bounds the most unique sounding collection of themes I have heard since Splatoon in 2015. Sometimes somber, sometimes pressing, it supplements the on screen action perfectly, and is a soundtrack I’ve been happy to have on outside of the game. If you can appreciate a finely timed crescendo, you will not be left wanting. CoD: WWII is a bit rough around the edges, and perhaps with time I’ll warm to it in the way I did to IW after its promotional beta (hard to hold my breath), but looking back on 2017 and the good times I had with competitive multiplayer, I would be a doofus not to give it up to Infinite Warfare once again. Between the last Year End article I wrote and this one, this game has seen its season pass through, adding over a dozen terrific maps (and admittedly a couple clunkers) as well as a host of different weapons to keep itself fresh. As is always the case with Call of Duty, at a point the non-straight forward gametypes became ghost-towns, but this was no hindrance on my ability to boot the game up every once in awhile to go to work in TDM, more often than not with new weapons or maps to enjoy. It isn’t the most innovative game out there, or even the most exciting, but what Infinite Warfare is, is razor sharp in ways other shooters simply aren’t. The weapon handling and character movement are perfectly tuned, and the game only has a couple of “meh” maps out of the bunch (both found in the final DLC pack, even). Infinite Warfare continues to be the best shooter no one praises but me. 2017 is the year where I didn’t have the time. Among the best games I have ever played are Persona 3 and 4, and because of that, Persona 5 was one of my most highly anticipated games of the year. Having played through the aforementioned games well after their respective releases, the idea of a brand new Persona game on current hardware, with a brand new Shouji Meguro soundtrack to listen to at release was an idea I was completely behind. But then the day came, it coincided with a most unfortunate personal ordeal, and the rest is sort of history at this point. 2017 continued, and it has been a struggle to keep up. 100 hour JRPGs are a difficult thing to get through when you’re pressed for time, and a story of that length is not something easily appreciated when your mental faculties are being dragged from numerous directions at once, and because of this, Persona 5 saw very little attention since its launch. This is something that bums me out tremendously, though I guess it does well to set up the continuance of the trend which is me playing through Persona games well after their release. This has unintentionally become the award for “game everyone seems to love but me”, but this was never my intention. When I think of what Mario games are, and what I want from Mario games, I always have the concept in my head, birthed from my earliest memories of the series, of relatively short (let’s say 3-5 minute) levels with set start and end points. This is not what Odyssey is, and I’ll whole-heartedly admit that I’m the problem here in expecting this game to be something it never claimed itself to be. For what it is, Odyssey is a game filled with polish and charm. It looks good, plays well (though motion controls are always a minus, even if they’re largely optional here), and seems to have a good amount of variety. It’s just the idea of wandering around these larger sandbox environments with the hope of finding or mistakenly stumbling upon Moons to progress which pushes me away. For whatever reason, directionless exploration worked for me in Breath of the Wild, but here it just bores me to tears. Maybe I’ll come back to it and it’ll grab me in a big way, but as it stands now, it depresses me to say that Super Mario Odyssey isn’t my kind of Mario game. As I mentioned above, this was an oppressively busy year for me, most notably over the past three months. So much so, that I’m still coming to terms with and still struggling to process things which occurred early in the year. Pain was there, but there were thankfully fewer hospital visits this year, and thanks to a small circle of friends and plenty of cute anime ladies to bring the cheer, moods are high and hopeful. Sleep is something which needs to be a high priority, which is probably the biggest lesson learned this year. When things get busier and busier, your options for doing the things you want to do dwindle, and at a point the decision needs to be made for whether suffering some exhaustion in the name of social or recreational enjoyment is worth it in the long run. It’s easy to brush it off, but sleep is important. White Day, love it or hate it, is coming back soon. Once that’s finished up, I already know what the next playthrough will be! There are always a metric ton of ideas for videos or series I’d love to do, but (and I feel like a broken record at this point) it all depends on how much time I have. Anime monthlies will continue of course! 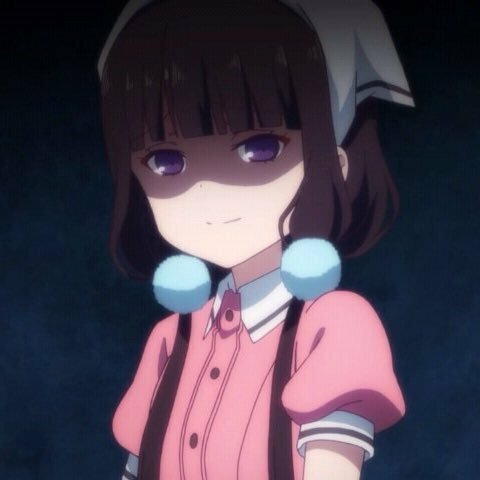 Since I have a video production capability now, the idea of doing video reviews for anime has come up, but I don’t own a video hosting service, and copyright holders are understandably harsh about people posting things which don’t belong to them. Don’t expect the change to video, I suppose. I enjoy doing written reviews more anyway. Spitz’ Soapbox is a personal project. I’m here because I want to be here and for no other reason, and the idea that any number of people out there are at least interested in what I have to say in passing, is an idea that warms my heart. I truly appreciate whoever you are, and I offer my sincerest thanks for reading my words or watching my silly videos over the past year. The site will continue into 2018, and I hope you will join me.